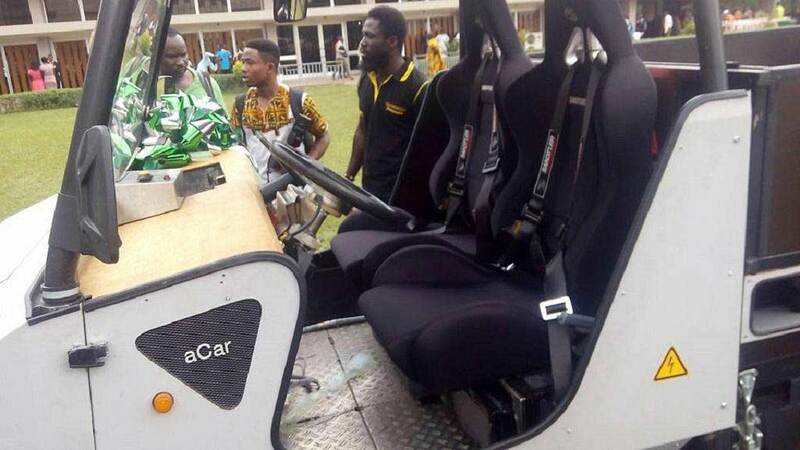 A vehicle that is powered by the sun, that is the latest invention by students of Ghana’s Premier engineering university, the Kwame Nkrumah University of Science and Technology (KNUST) located in the resource rich Ashanti region. The first version of the environmentally friendly automobile was outdoored recently at a graduation ceremony of the university. The invention of the 4×4 vehicle was in partnership with the Technical University of Munich, the state-owned Daily Graphic reported. It was developed by the Departments of Mechanical Engineering and Physics, and is seen as a breakthrough for the West African nation as it explores ways to build a more robust automobile industry. Most cars in the country are fuel based, either diesel or petrol run, a few others use Liquefied Petroleum Gas (LPG). Ghana discovered oil along its western coast but still imports refined fuel for industrial and commercial use. The pickup-styled vehicle as displayed at the event seats two persons at a time. The first drive was taken by the chancellor of the university and powerful Ashanti king, Otumfuor Osei Tutu II and one of the guests who had graced the graduation ceremony. The monarch drove it round a small field to much admiration of graduating students and other people who had gathered for the event. He went on to task the government to support the effort of the university to undertake more of such innovations. 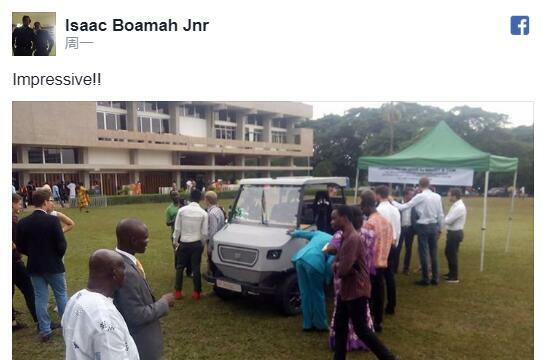 KNUST’s Vice-Chancellor, Professor Kwasi Obiri-Danso, disclosed that the car was still being tested with the aim of fine tuning it. He said, the invention represented their response to living up to the core mandate of spearheading development of innovative technologies. Named after the country’s first president Osagyefo Dr Kwame Nkrumah, the university has been at the forefront of training engineers for the country and beyond. Some of its most recent inventions include ‘an open-space fire detector, solar-powered traffic lights and drones to support the nation’s development processes,’ the Daily Graphic added. KNUST is comprised of six colleges: the College of Science, College of Health Sciences, College of Engineering, College of Humanities and Social Sciences, College of Art and Built Environment, as well as the College of Agriculture and Natural Resources. A total of 9,160 post and undergraduate students passed out of the last congregation which happened to be the 51st ceremony since the establishment of the University. It was established five years before Ghana gained independence from the British. The invention is, however, not the first on the continent. The most recent announcement of a solar-powered bus was in February last year when a company in Uganda launched what they said was the continent’s first. Kiira Motors’ Kayoola prototype electric bus has one of its two batteries charged by a solar panel situated on the roof of the 35-seater bus which was to be used more in urban areas because of restrictions on how far it could travel. Kiira motors grew out of Uganda’s Makerere University, which is a shareholder in the company. The company is also said to have benefited from some amount of state funding. Concepts of solar cars have also been brought up in Nigeria and South Africa in the past.